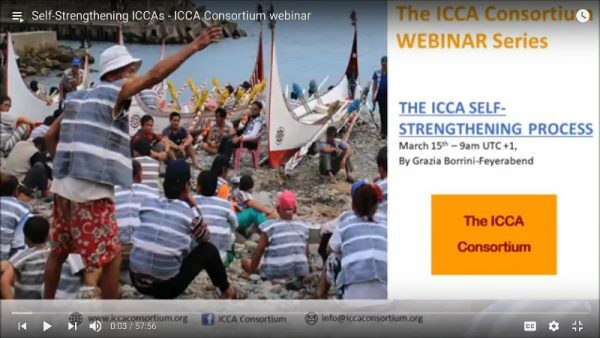 This session, Self-Strengthening ICCAs, is the second in the series. It is presented by Grazia Borrini-Feyerabend, ICCA Consortium Global Coordinator. You will hear about why ICCAs may want to strengthen themselves and how they could do that. Several possible steps have been identified and are briefly explained here, from enhancing self-awareness to networking and advocating for appropriate recognition and support.